French pottery looks like Marcelle, very interesting decoration. 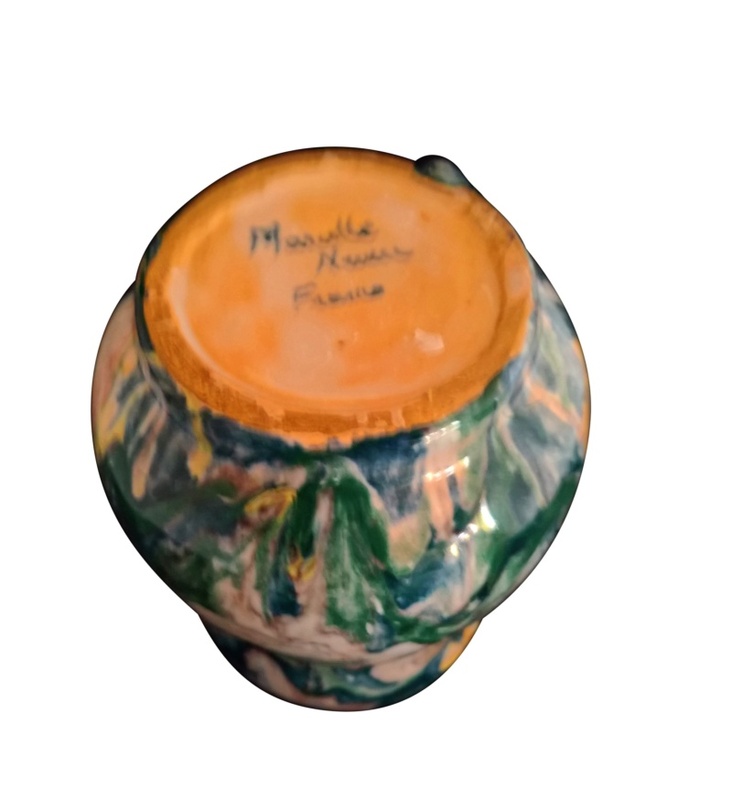 Re: French pottery looks like Marcelle, very interesting decoration. Does it say Nevers, France? I think it does but it's quite unclear. Could well be though. Any chance of a clearer picture of the signature? 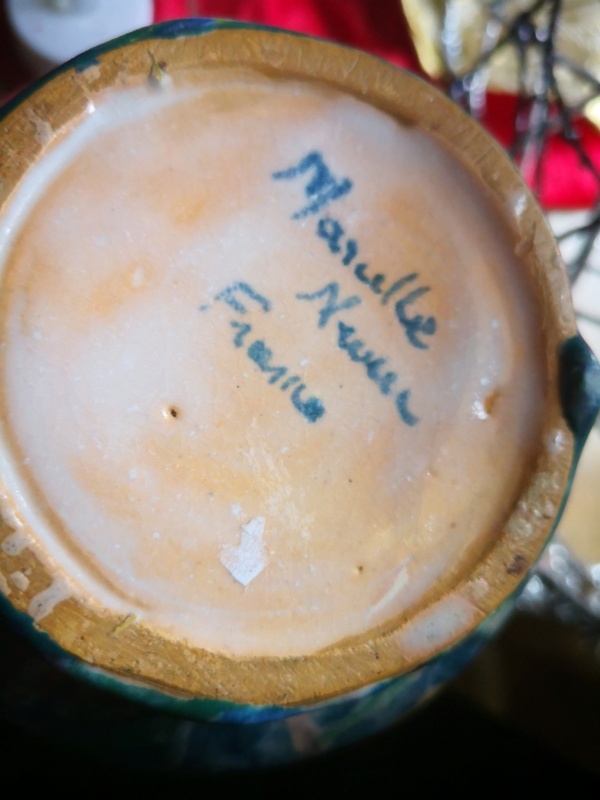 'Marcelle' ... Marcelle Ferron? ...but I do not think she did pottery! Thanks that's very helpful. 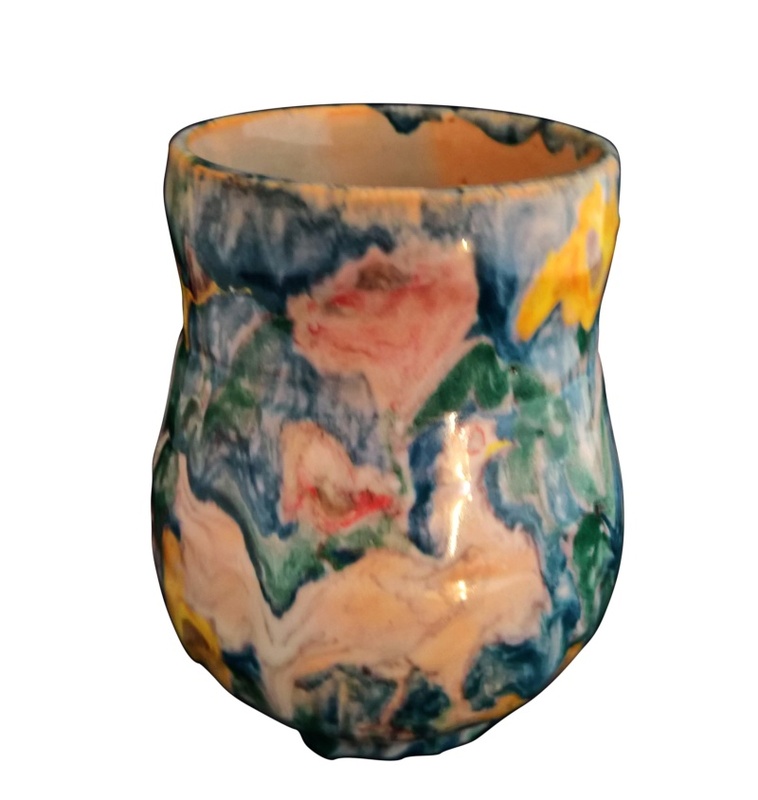 When I originally searched I kept getting Raoul Dufy stuff come up especially pottery decoration items, which was weird, when I looked again at the pot I realised that the images weren't abstract but actually loosely drawn animals etc, rather in his style. I couldn't find anything much more than this strange connection. It rather fascinates me and I will keep trying to find out about it.